PlayerUnknown’s Battlegrounds has been available for Xbox One as part of the Xbox Preview program since late last year, but the game is technically still in “early access,” without all the maps and features you get in the PC version. In just a few weeks, however, the game will officially release, and it brings a few goodies dedicated players will be very excited about. On September 4, PlayerUnknown’s Battlegrounds officially releases both on the Xbox One store and as a physical disc in retail shops, and the disc version will include a special DLC pack loaded with Xbox-branded cosmetic items. A similar bundle will be available to those who buy the digital version, or who already owned the game in Preview. As you might expect, just like the other versions of the game, the Xbox One full release will also introduce cosmetic purchases through microtransactions. The official launch of the game will also introduce the Sanhok map, a smaller battlefield designed to encourage quicker battles. It will also feature dynamic weather as well as a number of new weapons and vehicles, and an Event Pass containing missions and rewards will be available, as well. War Mode, previously available in the PC version, will be coming to Xbox One, as well, offering a more traditional deathmatch option for those sick of battle royale, and for the first time, you will be able to earn Xbox Achievements for your actions in the game. If you earned any during your time in the Preview version, Microsoft said those will carry over to the final game. The game will automatically upgrade to the full version on September 4 if you already have it installed. 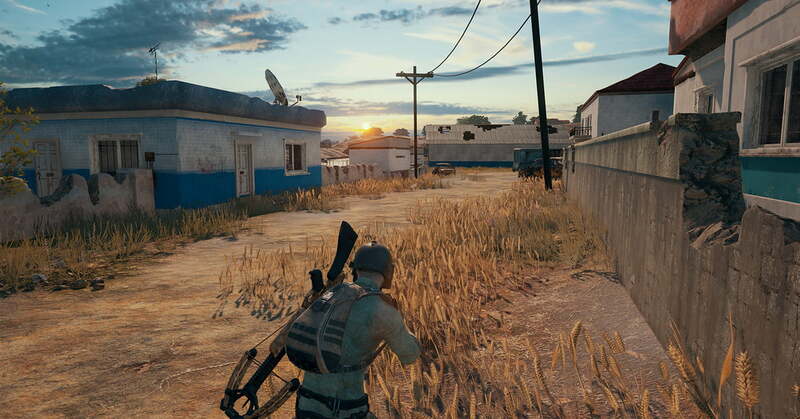 PlayerUnknown’s Battlegrounds is steadily getting better, and the developers recently introduced a new “Fix PUBG” campaign to more efficiently tackle and correct issues. If you don’t want to play on Xbox One, the game is also available on PC, and on both iOS and Android as PUBG Mobile. The mobile versions are free to play, while its bigger siblings are not, but the technical limitations of phones don’t hold it back from being a great way to experience the game.